We can help you determine your needs and wants for your project. Defining the site conditions, the views, circulation, landscape, drainage, circulation and the site history are critical first steps in developing a design tailored for each building. Successful projects begin with excellent communication. Working with the Owner to establish the design and scope of the project is essential. Communication continues with the design team, building officials, the General Contractor, the sub contractors, suppliers and the many groups that make up the project team. Our attitude is one of cooperation and respect for everyone involved on the job. Regardless of the project size, we insist on quality workmanship for the project. Restoration . . . there is no better way to conserve energy and resources than restoring an old structure. 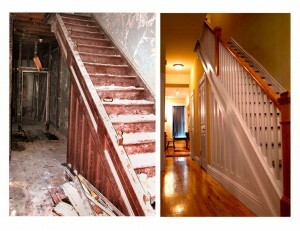 We are passionate about transforming older buildings to regain their usefulness and beauty. By thinking globally, and acting locally, we can all make our world a better place for future generations.